*Brands are trademarks of their respective holder(s). To use, twist off the protective disk. 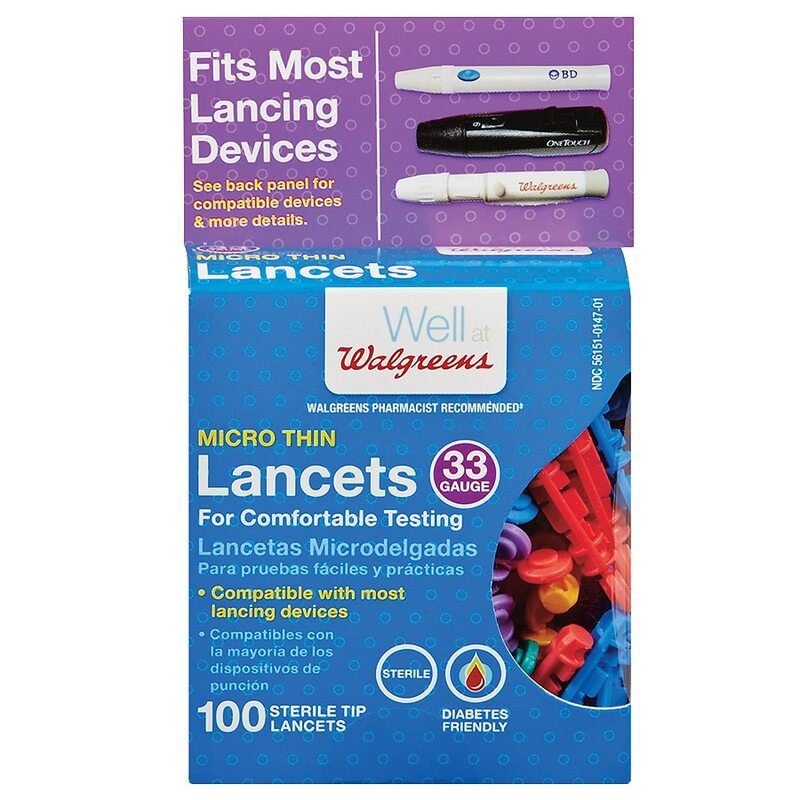 Helpful tip: To minimize the pain of testing, change lancet after every use. Lancets become dull and painful when reused. The lancet tip is guaranteed sterile while the protective disk is sealed to the base. Do not use if the seal has been damaged or broken.